You Are Here: Home > Auto Financing in North Riverside, IL. Auto Financing in North Riverside, IL. Finance Your Vehicle with Castle Buick GMC in North Riverside, IL. At Castle Buick GMC in North Riverside, Illinois, we take pride in the automotive service we provide. We receive many visitors from Berwyn, Maywood, Cicero, and surrounding areas regularly because our friends and neighbors know that they can trust our team to give our customers the satisfaction they deserve. When you visit us, not only will you gain access to an incredible inventory of new and used vehicles, but you will also receive comprehensive assistance with your auto finance. That way, you have the guidance you need every step of the way! 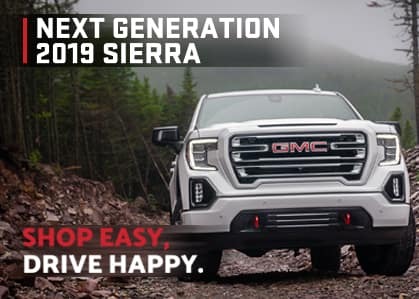 There is nothing we would like to see more than a happy customer driving in one of our vehicles, so treat yourself to a hassle-free dealership experience and stop by at Castle Buick GMC today! For many drivers, finding a vehicle that suits both their wants and needs can be a relatively straightforward experience. Instead, the difficulty more often lies in the auto financing that accompanies it. Even while there is a great deal of useful information online, like the handy six step guide to auto financing on Kelley Blue Book, understanding the finer details can be a challenge. Fortunately for Castle Buick GMC customers, we have a Finance Center fully staffed with experts! Our team will go over all your financial options with you so that you can understand what is available to you with the utmost clarity. With their knowledge and experience at your disposal, you will also have no problem acquiring an auto loan and devising a payment plan that works for you! Of course, if you would like to start the process of your auto finance from your home, you can always take advantage of our web tools like the payment calculator and credit score estimator and proceed to apply for financing from the comfort of your home. A member of our team will contact you once the information on your form is reviewed and will guide you on to the next steps. Whatever you decide to do, just remember that we are here for you, and we can help take the pressure off your auto financing! Serving Berwyn, Maywood, & Cicero, IL. End your search for a dealership you can depend on and visit Castle Buick GMC today! Here at our one-stop-shop, you can find the solutions to your auto needs easily. No matter if you are looking to buy your next vehicle, receive a financial consultation, or stopping in for a regular checkup, you can rely on our team to help you. If you have any questions and would like to speak directly with an associate, feel free to stop by at a time most convenient for you. Our dealership in North Riverside, Illinois, is conveniently located near Berwyn, Maywood, and Cicero, and we are open Monday through Thursday from 9 AM to 9 PM and on Saturday from 9 AM to 7 PM. If you prefer, you also have the option to reach us by calling 866-233-8519 or by filling out a contact form. We hope that we can work with you soon!